Responding to the concerns of the top telecom operators, DoT has asked the Delhi government and MCD to settle issue of sealing sites. The Department of Telecom has asked the Delhi government and the municipal bodies to allow mobile towers to operate. This development comes after telecom service operators had approached the DoT last week to look into the sealing of mobile towers by the Municipal Corporation of Delhi. It could result in lesser call drop issues in the capital. Telecom operators have complained that the illegal sealing of mobile towers by the MCD contributed towards the deteriorating quality of service in Delhi. According to the country’s top six telecommunications service providers, with every 40 sites that are sealed, there is an average increase of 20 per cent in call drops. The Delhi unit of the BJP, has been directed by the Telecom Ministry to sort out the issues and also look into the possibility of installing new towers. Telcos also allege that Residents Welfare Associations (RWA) often demand the sealing of sites on grounds of radiation hazards. 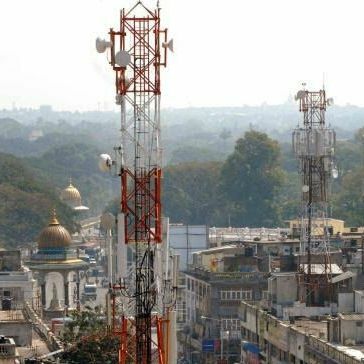 Telecom Secretary, Rakesh Garg reportedly met the Delhi Chief Secretary on Tuesday to allay any such fears and asked the government to allow installation of new towers on government buildings. Last week, Bharti Airtel, Vodafone India, Idea Cellular, Reliance Communications, Sistema Shyam, and Tata Teleservices had jointly written a letter to the DoT. The letter alleged that the MCD has been arbitrarily sealing mobile towers and are yet to implement a High Court order to de-seal some of them. A few days back, TRAI had dismissed claims by RWAs over the radiation effects of mobile towers. In an effort to ease the issue of call drops and improving the quality of service, the government has taken a proactive role. However, claims by TSPs, of lack of government support, had led to a logjam. A recent survey has shown that 69 per cent respondents believe operators are responsible, while 19 per cent believe that the government is at fault.